ELEX - Play and build in a peaceful world! The goal of this modpack is build to build your house in peace. No griefers, no thiefs, the only thing you have to worry about are the mobs! 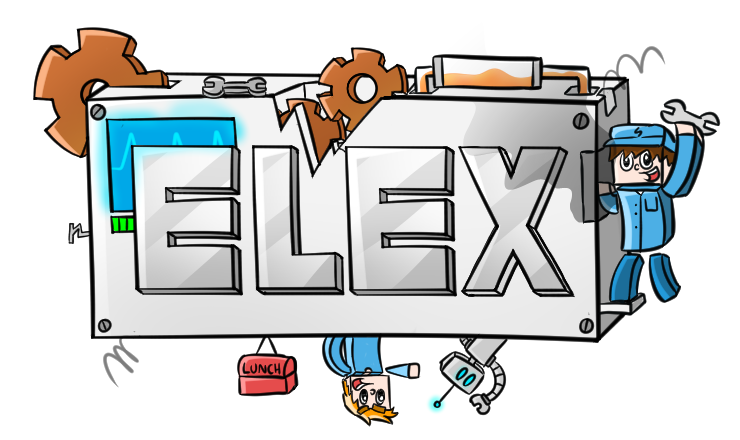 After that, start the launcher and search for ELEX in the search bar in the upper left corner. Download and play the pack, you will see a button with connect to the server. This is the official server. At the moment we have an official server online, making your own server is not available right now. Our server is located in Europe, The Netherlands, Rotterdam. The server is owned by us so we don't have to depend on hosting companies. Our server has 32 GB RAM, an E3 1230v CPU and a SSD disk.